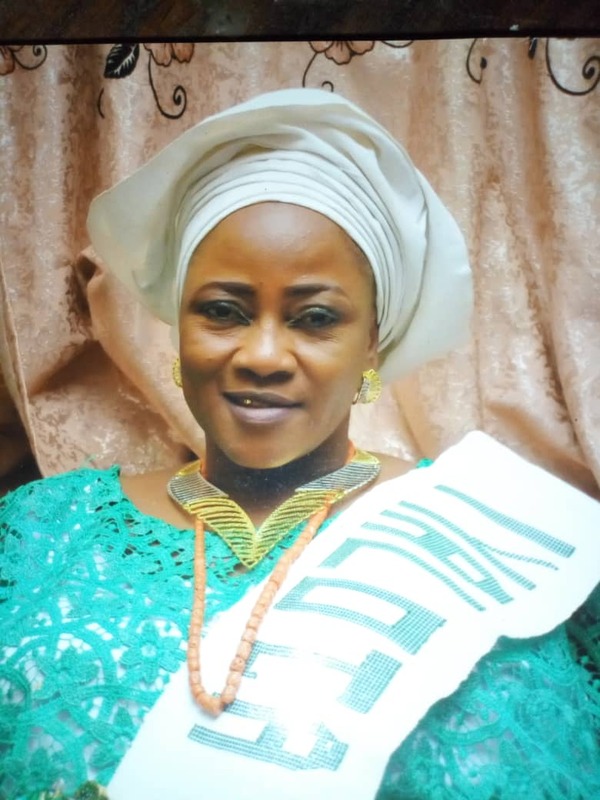 It is no longer news that some aggrieved traders across the 186 markets in Kwara State allegedly agreed to the sacking of the Iyaloja General, Alhaja Adenike Abdulkareem Lambe and her executives in Kwara over issues concerning traders monies. It was gathered that the move was taken up by some traders among the market women who felt aggrieved over the way Iyaloja and her excos handled the trader moni issue in the state. Kwara Reporters also heard that some market women and some leaders gathered themselves to jubilate over the removal of Iyaloja General and the Iyaloja of Mandate market. It was also gathered that some group went to old Idiape mosque to pray over the removal of the said executives. According to a source who pleaded anonymity; the problem emanated from the trader money that was given to traders in the state before the election. The source claimed further that, the crisis was sprouted by some market leaders, such as Alhaja Sidi Akaje from Oja Oba, Alhaji Ayinla Agaka from Oja Oba, Sikirat Babamale, Lateef Ajanaku, Kabiru Agaka,Mashood Alaya, Iyabo Oloriegbe among others. The source also claimed that when they brought the trader money they were not allowed to go into the markets in the state. "They didn't follow the normal procedure for that trader money and they bring people from out side the market to register for the money. People from Adeta,adangba, Alore among other who are not member of the market." When contacted yesterday on the development, the Iyaloja General said she is still the Iyaloja General of the whole kwara State. She debunked the rumours, adding that is the work of aggrieved traders who want use political maladness to destroy the affair of the markets in the state. "Nobody removed me, I'm still the Iyaloja General and my excos remain the authentic excos. The aggrieved just carry unnecessary rumour to allege Governor-elect and the APC. The AbdulRahman AbdulRazaq that I know is not that kind of a man". She added "Market association is a non governmental organisation. We don't get involved in politics. People who engaged in politics outside market activities are the ones spreading unnecessary rumour. "Market association in the state work with any government. And even All the market women went to congratulate the governor elect." While speaking with the Babaloja General of Kwara, Alhaji Tunde Jimoh said, he heard of the rumour but its not real. We have about 180 market in Kwara headed by Iyaloja and Babaloja subordinated by the vices in Kaiama, Oke-Ero,and Ilorin south. "They thought, change in governance will grant them the opportunity to get into the same position. We are not into politics we are non governmental organisation." Reacting to the incident, Alhaji Ayinla Agaka from Oja Oba said he is not aware of the matter. Sikira Babamale in her reaction," Alhaja Afusa Dare was the Mandate Market leader." She told our reporter that, " Why don't you meet me tomorrow for full detail I can't say anything now until I see you"
Alhaja Sidi Akaje of Oja oba market claimed that, nobody remove any Iyaloja. Iyaloja General, Alhaja Adenike Lambe is still the leader and all the executives remain our excos. The prayer service organised at Idi Ape mosques is for the progress of the traders in the market. "The prayers was meant for our protection. Even tomorrow there's going to be another prayer session for the sake of every traders, that the period of the new government should favour the traders in the state. Alhaja Afusa Dare is the iyaloja of Mandate market. Nobody sacked anyone."